Awesome Fun Reading Through the Responses for This Week’s @HashtagSkirmish Game #IfIHadTrumpsMoney! We Trended #1 in the US as well as #2 in Canada so THANK YOU EVERYONE who played along! Join us February 17th for our next @HashtagSkirmish Game! Since we had such an amazing turnout with Nearly 28k tweets and Over 17k users we will double our list and do a Top 20! Wine. All the wine in all the land. #IfIHadTrumpsMoney I would practice generosity the way I really want to now, but can't. #IfIHadTrumpsMoney I'd build a giant sandcastle by the ocean and then remove the ocean so the tide wouldn't ruin my sandcastle. 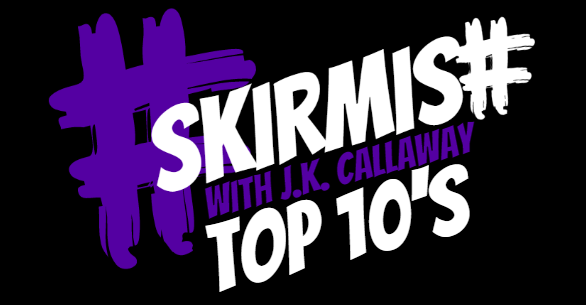 And Now… Here is Our Top 20 for February 10th, 2016’s @HashtagSkirmish Game #IfIHadTrumpsMoney! #IfIHadTrumpsMoney I would build a big great wall between my home and school. #IfIHadTrumpsMoney i would slap him with it. #IfIHadTrumpsMoney I'd build a HUGE wall around him, then make him pay for it. #IfIHadTrumpsMoney I would not have to worry about student loans. #IfIHadTrumpsMoney I could educate all his supporters to the 12th grade level.